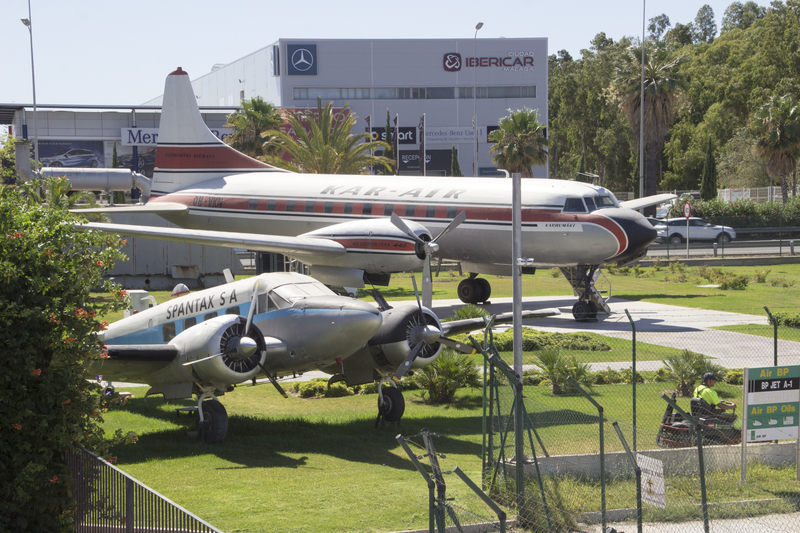 Malaga Aviation Museum doesn’t get anywhere near the number of visitors it deserves. Tucked away in a hidden corner of the airport, it gets missed as most people are rushing either to or from their flights. That’s a real shame as it is one of the most interesting museums I have visited. Both quirky and educational, it is a great place to pass a few hours learning a little more about the industry we have all come to rely on – Aviation. 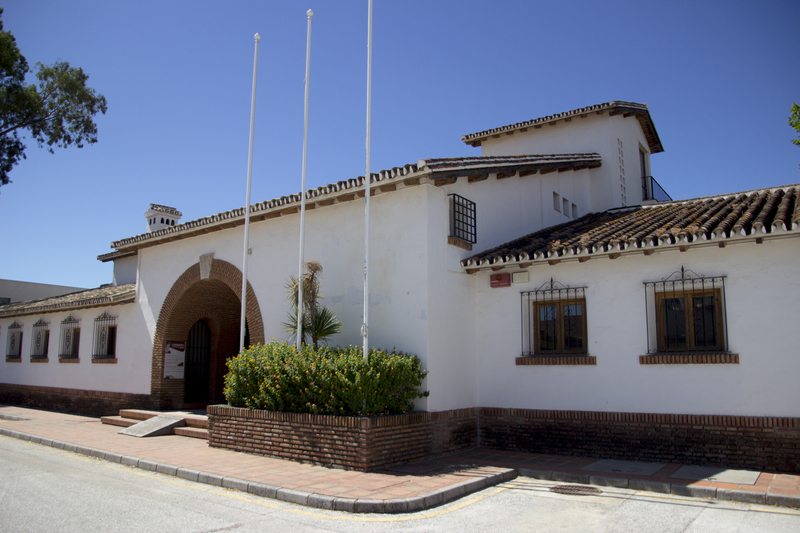 The museum is actually located in the old airport terminal and its surrounding buildings. It is broken up into different themed displays and also features several aircraft in the open spaces. For the real aficionados there is also a viewing platform so you can see the modern day airport in all its glory. 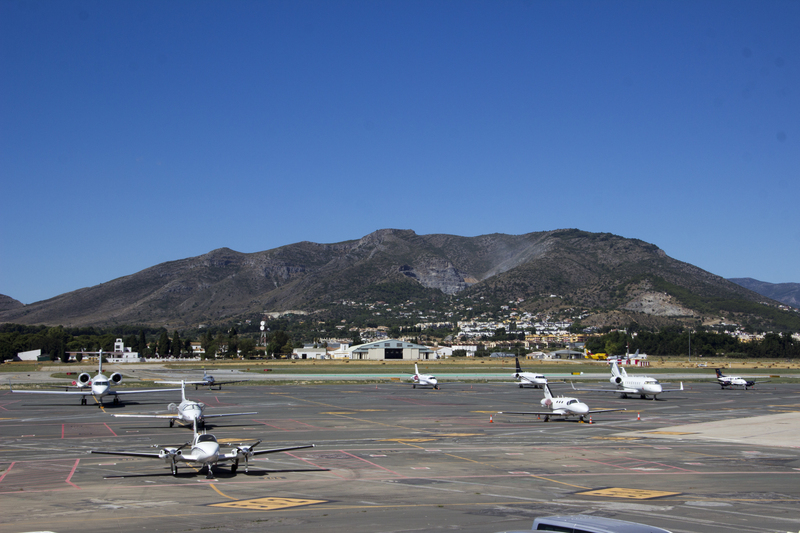 Depending on the wind direction, you are not far at all from where the aircraft are taking off or touching down. First, pop into the reception area and pick up a site map. You don’t really need it to find your way around, but you’ll know where to go to buy your souvenirs at the end of your visit and leave a donation. Entrance is free but the museum is entirely staffed and funded by donations. The first room is where you’ll find the biggest collection of model aircraft you’ll probably ever see. There’s also the fist class cabin of a DC9, through which you get to the cockpit. If you’ve never seen a commercial aircraft cockpit before, the array of buttons and switches is overwhelming! While you are pondering how a pilot can possibly know what every one of these is for, you can listen to live Air Traffic Control fed from the Control Tower. Nearby is the education suite where a series of exhibits teaches you all about the theory of flight. You can also learn a bit of Morse Code while you are there. I presume you know that a flight data recorder, otherwise known as a black box, isn’t black at all. There’s one on display with an explanation of why it is bright orange! Next you can explore the fire vehicles on the nearby apron. From there you can climb some steps to get a great view of the runway. Look back over your shoulder and you’ll see the nose of the DC9 protruding from the building. It has been very cleverly incorporated. The old terminal building awaits. Inside you can climb up to the Air Traffic tower, but don’t expect anything modern. This is how it was done 50 years ago! Things have moved on apace since then. On the first floor there is a potted history of a variety of airports famous around the globe including Croydon which was the first in the world to introduce Air Traffic Control. During our visit there was also a tribute to the Aeropostale service ensuring air mail was delivered no matter where you were. The ground floor is dedicated to the aircraft cabin. Cabin crew uniforms through the ages are on display, and it was particularly interesting to see the history of in-flight meals. Spend a little time looking at the aircraft parked outside. There is a DC3, a Beechcraft 18 and a Convair 440. The nearby building provides a welcome relief from the summer heat and you can see models of the development of the airport. There is a also an excellent collection of aviation artwork on display. If prehistoric history is your thing, there are some remains which were found during the development of the airport. Most people are there for more modern history though, and the final building has displays dedicated to the lights and markings you will see all around any airport. There are also various engines to get up close and personal with. Finally, there are the radar displays used by Air traffic Control to keep the aircraft safely apart in the air. 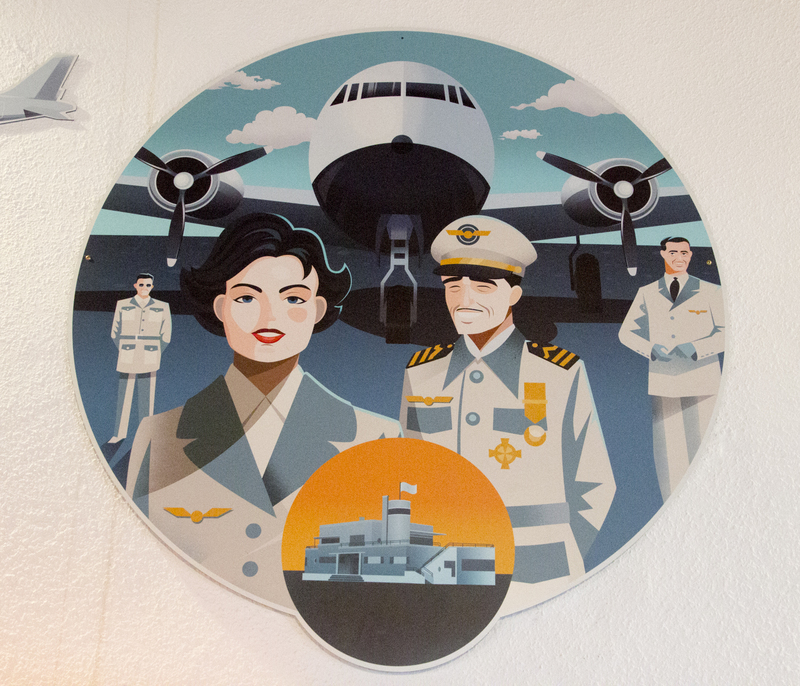 The walls are full of maps and charts galore – a wonderful aviation heritage experience. It doesn’t matter if you are an aircraft enthusiast, an industry professional, or someone with just a small passing interest, you will find plenty in this museum to make you very happy you came.